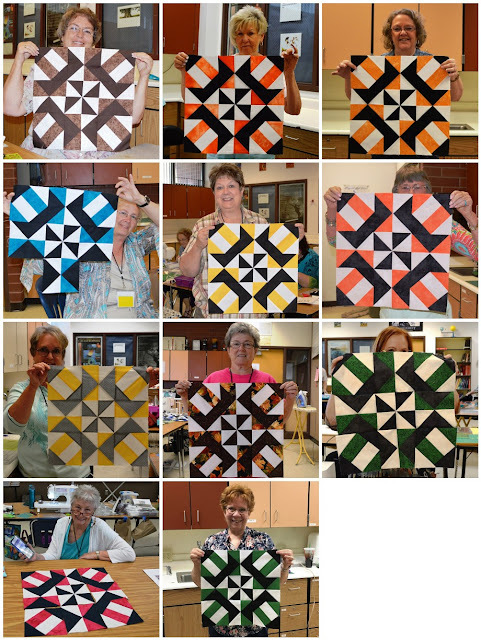 Happy Quilting: Teaching Time - Panguitch Quilt Walk!!! Teaching Time - Panguitch Quilt Walk!!! I just love getting to teach at the Panguitch Quilt Walk!!! The classes are always so much fun and just filled with the nicest people!! I love that I get to see friends that I have met and had in classes over the 7 years I have been teaching there. And of course, there are always new faces and friends to be made and it is just such a happy atmosphere. We truly are happy quilting!!! The first class I taught was on Friday morning and it was my Corckscrew Pattern :) This is always a fun class to teach!!! I just love watching these blocks come together and it is always fun to see what fabrics and colors everyone chooses to use. The rainbow goodness in this class is just enough to keep you smiling for hours after ;) So fantastic!! And I was so excited to see all of the different fabrics that everyone choose for the blocks!!! It never ceases to amaze me how much it changes things up just to change the fabric that is being used. 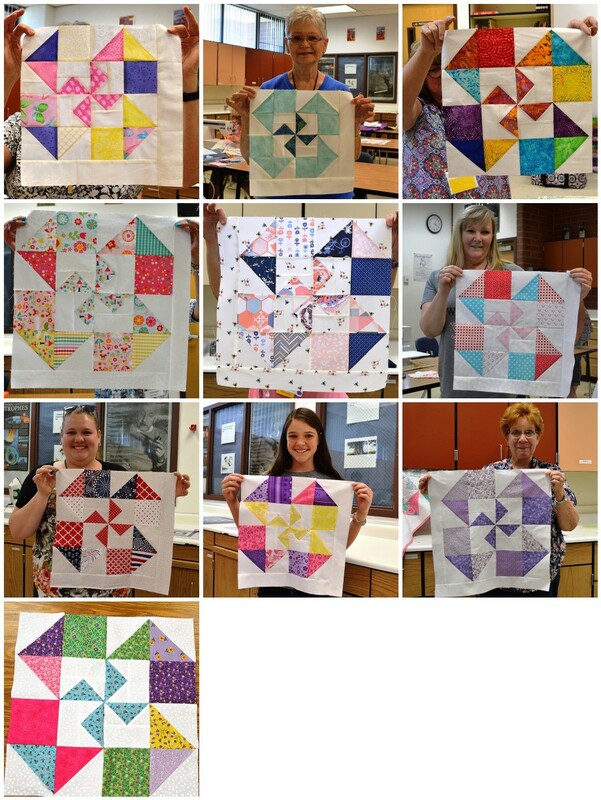 From Batiks, to 30's, to Brights, and even a 4th of July block. Everyone had such great finishes!!! And last but not least, I know I have mentioned it before, but I love, love, love when students from past years bring back their quilts and share their finishes with me :) It is just so neat to see what started as a block in class, all finished and quilted :) And this year, I had one student that brought back two quilts she had made from my classes in the previous two years. This is her gorgeous Petal Pop quilt that she made with April Rosenthal's Sweet Marion fabric. Isn't it just so pretty in those beautiful bold colors!!! And she did her own quilting as well, just so pretty!!! And what a wonderful weekend this retreat was!!! I know I say it every time, but I truly just love being able to teach!!! It is so wonderful to get to share my love for this amazing industry and the wonderful way it allows each of us to create in our own way ;) I can't wait for next year!!! I hope you all have a very Happy Quilting Day!!! Lovely blocks - and what a special feeling when finished quilts are brought back for you to see. Your enthusiasm shows what a great teacher you are :)! 180 More Doodle Quilting Designs!!! Just Dandy Quilt for Market!! !